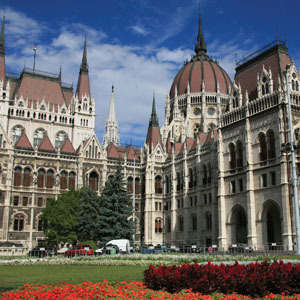 From Amsterdam to Budapest, and many exciting stops along the way, you’ll be immersed in the culture of Central Europe in a unique way on this timeless river cruise vacation. Amsterdam is Holland’s lively capital-both historical and modern. This popular city is set amongst sophisticated architecture and classic squares and canals. See the treasures of this 700-year-old city from a unique perspective-on a canal cruise along the elegant grachten. On to Germany where there’s a guided city walk in Cologne-a 2,000-year-old city known for its gothic architecture. Sail through the dramatic Rhine Gorge, the most beautiful view of the Rhine River, and stop in the charming wine town of Rüdesheim. 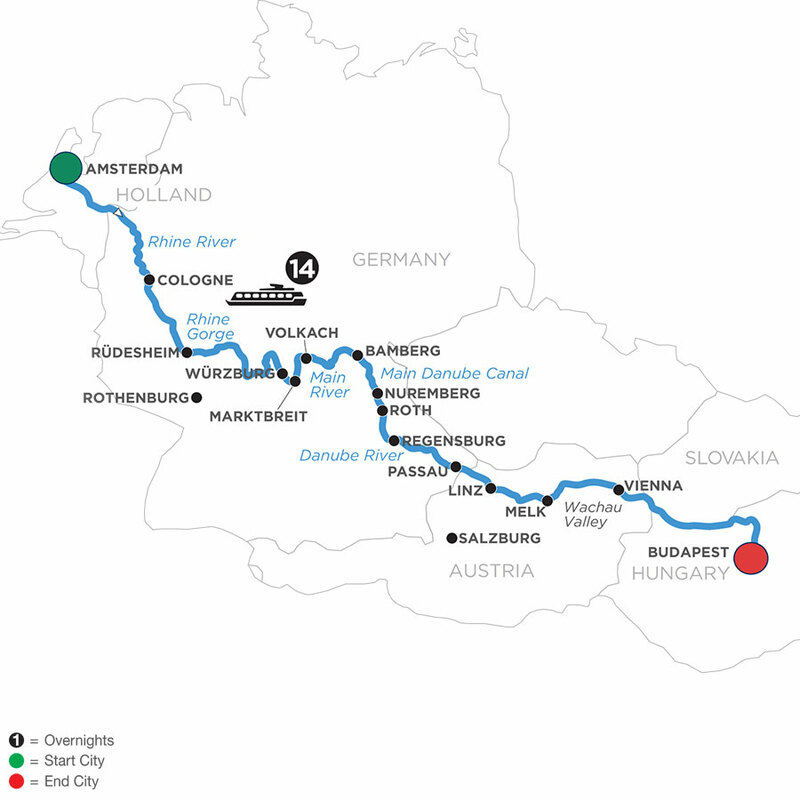 There’s guided sightseeing in Würzburg, Bamberg, Nuremberg, and Regensburg, and you’ll sail the Main Danube Canal connecting the Main and Danube Rivers. First stop in Austria is Melk for a visit of its magnificent Benedictine Abbey, then sail through the picturesque Wachau Valley. And in the last days of your vacation, local experts will introduce you to two capital cities: Vienna, Austria, also known as "The City of Music" for inspiring the creative genius of Mozart, Beethoven, and Strauss; and lively Budapest, Hungary, with its unique energy and countless must-see sites. This truly is a river cruise to remember!